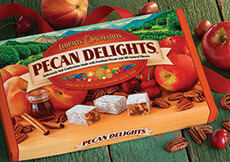 Four decadent flavors to savor! 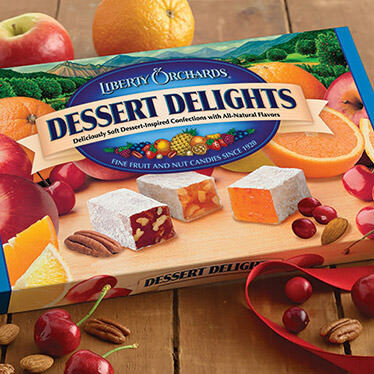 Our latest assortment of Delights includes four tempting flavors inspired by classic fruit desserts...Cherry-Almond Crunch, Classic Lemon Bar, Cranberry-Orange Sorbet, and Apple-Pecan Pie. 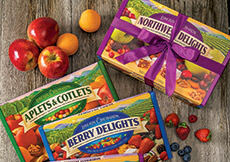 Arrives beautifully boxed for giving or sharing. These were excellent. Will buy again. All good but lemon so good wish could buy by itself.